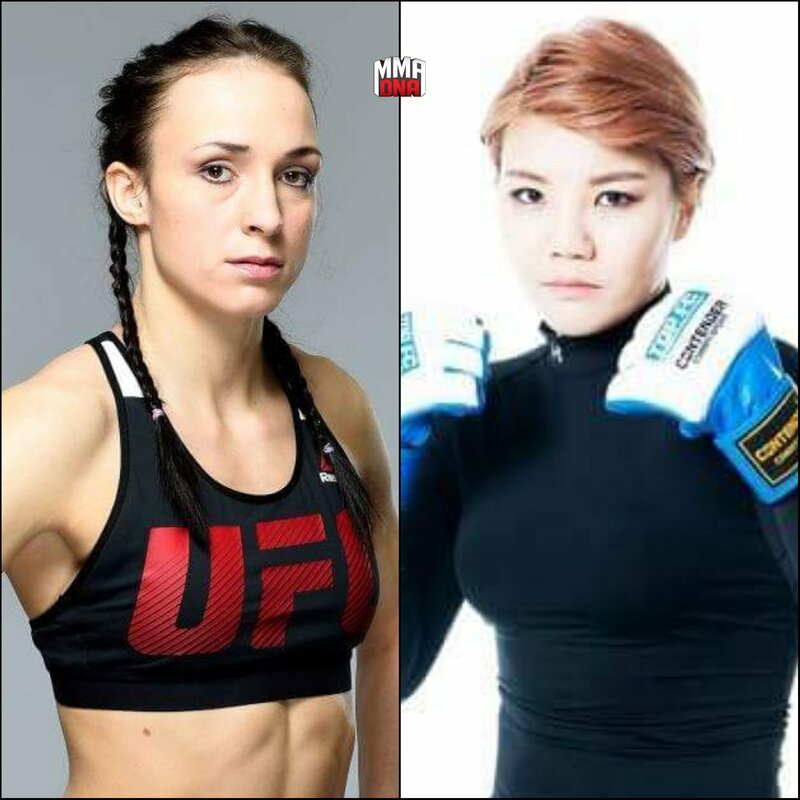 Though it hasn't been announced, the UFC has added Lucie Pudilova vs Ji Yeon Kim to their website page for UFC Fight Night 111 June 17 at Singapore Indoor Stadium in Kallang, Singapore. This show will air on Fox Sports 1 in the US and TSN in Canada. But I expect this match to air on UFC Fight Pass. Lucie is 22 years old from the Czech Republic. She made her UFC debut as a late replacement vs Lina Lansberg on Mar. 17 in London. She won the third round but she lost the fight because she wasn't aggressive enough in the first two rounds. Ji Yeon Kim is 27 years old from Seoul, South Korea. Her record is 6-0-2. The UFC has been after her for a while. They wanted her to face Rin Nakai at last year's Korea show. Then they offered her Holly Holm for this show. But Holly's manager Lenny Fresquez selected Bethe Correia mainly for name value. Kim is probably a better fighter. She went to Japan and won the DEEP JEWELS Bantamweight Championship from Takayo Hashi. Lately she has been fighting for TFC in Korea. The two draws were two round fights from Asian promoters who should smarten up. I'm not surprised to see her in the UFC. This could be a decent fight.